Happy New Year Benjamin Harrison! From what I can tell, Benjamin Harrison did not have a reputation as someone who loved a great party. And I’m entirely uncertain how (or even whether) he celebrated the New Year. He was apparently so reserved and uncommunicative in social settings that, when introduced to strangers, it was not obvious to those who didn’t already know him that English was his first language. Really…I’m not making this up. 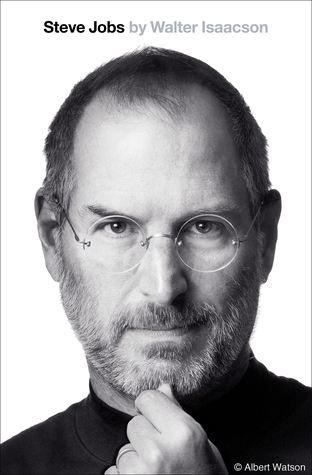 But he has also been described as a devoted family man, unwaveringly pious and intellectually gifted. At least there’s that. 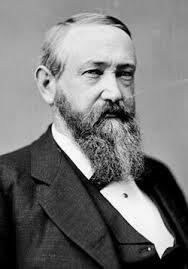 Other than serving as the 23rd president of the United States, Benjamin Harrison is best-known as the grandson of William Henry Harrison – the 9th president, who lasted just thirty-two days before pneumonia swept him out of office. He was also the great-grandson of one of the fifty-six signers of the Declaration of Independence. My journey through Benjamin Harrison’s best biographies (sarcasm not intended) will include five books: two standalone biographies and a three-volume series. I’m starting with “Benjamin Harrison” by Charles Calhoun. This is a 2005 member of The American Presidents Series, a collection of presidential biographies known for uniformly efficient and direct coverage. And if there is ever an ideal time for a concise, no-nonsense biography of a president…Benjamin Harrison seems to provide that moment. In case you hadn’t guessed, Harrison spent much of his life in Indiana. The Sievers biography was published by three different publishers. Two editions of the first volume exist. Harrison had a campaign biography written by Lew Wallace (author of Ben Hur). I’ve just started Vol 1 which, at least so far, I absolutely love – particularly the later-written preface and the explanation for why Sievers had the first major crack at writing a Benjamin Harrison biography. Absolutely fascinating.